Preheat oven to 200 C (180 fan-forced). Place fish in a baking dish. Combine soy sauce, sweet chilli sauce and garlic and spoon over fish. Bake for 8-10 minutes, depending on the thickness of the fish. 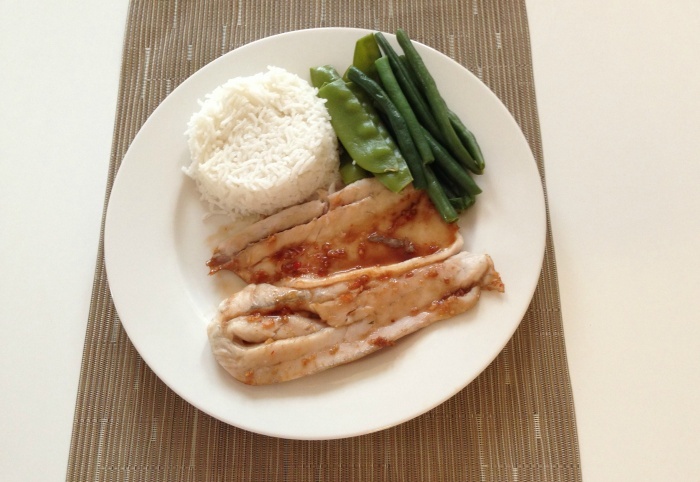 Spoon pan juices over fish and serve with rice and veggies.